This is one of those recipes that is so easy to make and the end result will knock your socks off! 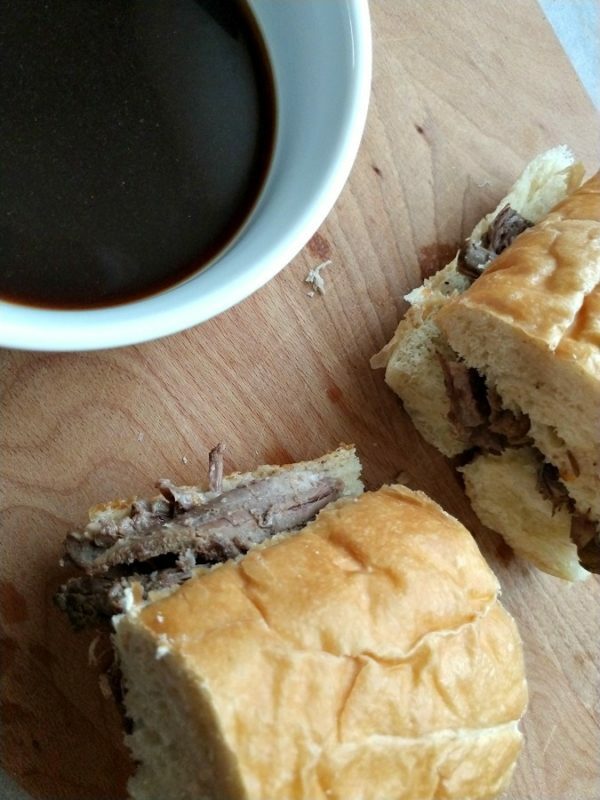 Add a beef rump roast to the crock-pot with a few ingredients and allow the roast to slow cook until it is so tender, a fork makes it fall apart. 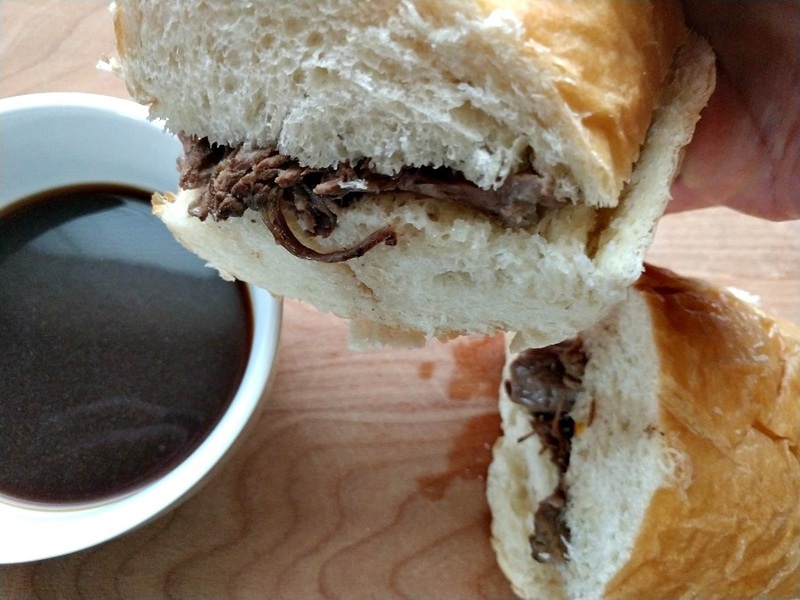 Add the meat to a toasted bun with a small bowl filled with the juices to dip, and well…this is delicious. The kids and I have these every so often. I like that there is normally enough left over for me to have a lunch or two for work. 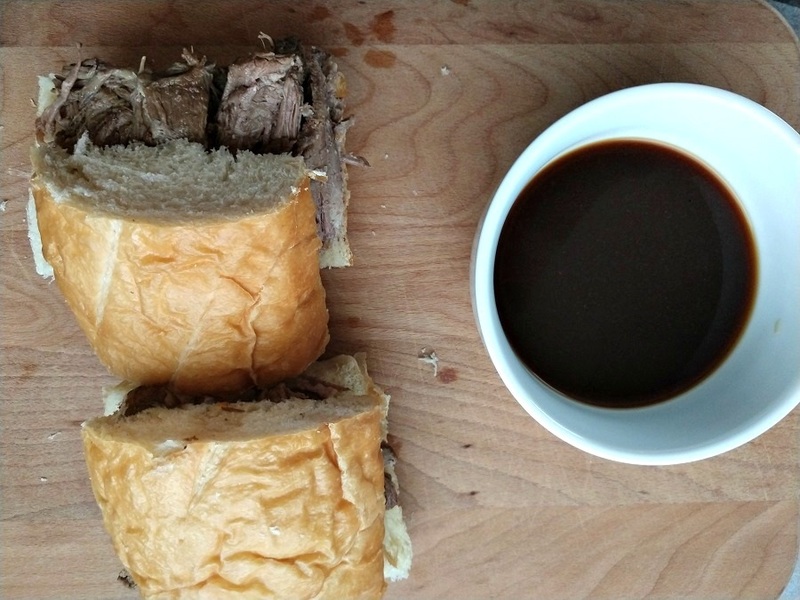 Tasty and delicious French Dip sandwiches slow roasted to perfection. Serve with a side of the juices to dip the sandwiches in. On the stove top, sear the beef rump roast on all sides. Place roast in 4 qt or larger crock-pot. Add soup and onions to the crock-pot. Cover and Cook on LOW for 8 hours or until the meat is fork tender. In a bowl, mix the butter, parmesan cheese and the garlic powder. Spread the butter on the rolls and toast butter side up in the oven. Remove the roast from the crock-pot and slice thinly. Return the meat to the crock-pot. Add a slice of cheese to the inside of the buns and spoon in meat on top of the cheese (optional). Serve with a side of the extra juices for dipping.